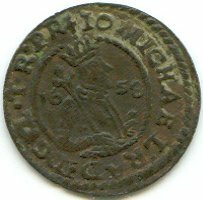 The medieval coins above are present on Romanian coins through the kind permission of Mr. Sarviro. 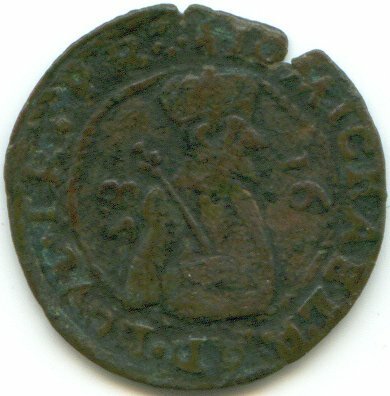 Most probably the coins of Mihnea III were struck in Transylvania. 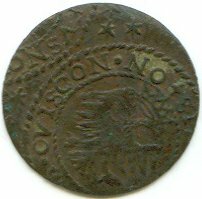 The legend on the obverse is IO[AN] MICHAEL RAD[V] D[EO] G[RATIA] V[A]L[ACHIAE] TR[ANSALPINAE] PR[INCEPS]. The legend of the reverse is SI DEUS NOBISCUM OVIS CON[TRA] NO[S], being written OVIS instead of QVIS. 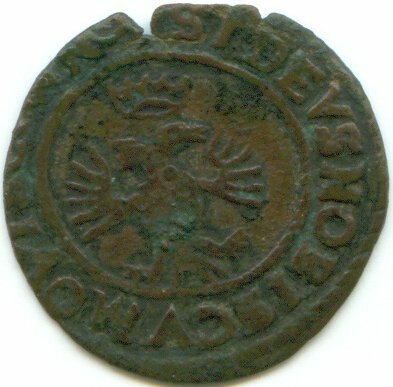 This legend also appeared in 1577 on coins issued by John Sigismund (nr. 112 in monograph Monede şi bancnote româneşti (Romanian coins and banknotes), gold coin of 10 ducats), being a quotation from the Saint Paul's letter to the Romans, VIII, 31. The text is translated as: If God is with us, who shall be against us? It is interesting to observe that this Bible verse was used as unofficial motto in Poland in the 17th century. Mihail Radu (Mihnea III) ruled Walachia between March 1658 and November 1659. He repressed wery harshly the oppozition of the boyars and, in alliance with Transylvanian prince George II Rákóczi, he fought agains the Turks. Finally defeated by the Porte's armies, he fled to Transylvania, where he died in April 1660, at Satu-Mare.